Branham A. Implementing a Pharmacy-Based Immunization Program. In: Dong B, Elliott D, eds. Ambulatory Care Self-Assessment Program, 2013 Book 1. Pulmonary and Preventative Care. Lenexa, KS: American College of Clinical Pharmacy, 2013: 198-215. Branham A, Moose J, Ferreri S. “Retrospective Analysis of Medication Adherence and Cost Following Medication Therapy Management” INNOVATIONS in Pharmacy September 2010, Vol.1, No. 1. Richman, A. R., Swanson, R., Branham A., Partridge, B. * Measuring North Carolina Pharmacists’ support of expanded authority to administer the HPV vaccine in North Carolina pharmacies. Journal of Pharmacy Practice. Branham A, Katz AJ, Moose J, Ferreri S, Farley JFF, Marcinak MW. “Retrospective Analysis of Estimated Cost Avoidance Following Pharmacist- Provided Medication Therapy Management Services. Journal of Pharmacy Practice. Branham A. Harvey Whitney Book Review, “Handbook of Nonprescription Drugs: An Interactive Approach to Self-Care, 17th Edition” Journal of Pharmacy Technology, May/June 2012 Volume 28 page 133-134. Branham A, Caiola S. Harvey Whitney Book Review, “Handbook of Nonprescription Drugs: An Interactive Approach to Self-Care, 16th Edition” The Annals of Pharmacotherapy, September 2009, Vol. 43. Norris L, Branham A, Moose J, Ferreri S, Marciniak M, Snead R, Rothholz M. Analysis of Pharmacist Immunization Authority and Reporting Requirements in the United States. Poster presentation at the APhA Annual Meeting, Los Angeles, CA. JAPhA, Vol. 53 No.2; March/April 2013, p. e37. Daly C., Branham A., Moose J, Ferreri S, Marciniak M. Evaluation of Marketing Strategies to Promote Community Pharmacy-Based Clinical Services. Poster presentation at the APhA Annual Meeting, Los Angeles, CA, JAPhA Vol. 53 No.2 March/April 2013, p. e1-e110. McGavin E, Branham A, Moose J, Ferreri S, Marciniak M. Prospective Analysis of Integrating a Targeted Intervention Program into Independent Pharmacy Workflow. Poster presentation at the APhA Annual Meeting, New Orleans, LA. JAPhA, Vol. 52, No.2; March/April 2012, p. 244. Whaley B, Branham A, Moose J. Ferreri S, Marciniak M. North Carolina Pharmacists’ Knowledge and Awareness of the Tdap Vaccine. Poster presentation at the APhA Annual Meeting, New Orleans, LA. JAPhA, Vol. 52, No.2, March/April 2012, p. 229. Branham A, Robertson SL, Locklear A, Farley JF, Robinson MD, Rhodes CW. The Evaluation of an Asthma Management Program Following Implementation of Physician-Supported Protocol. Poster Presentation at the 159th Annual Meeting of the American Pharmacists Association, New Orleans, LA. JAPhA, Vol. 52, No.2, March/April 2012. 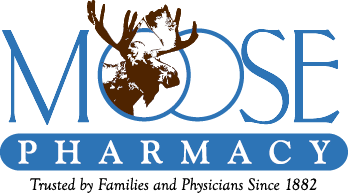 Cohenour F, Branham A, Moose J, Ferreri S, Marciniak M. Patient Perceptions of Community Pharmacists Administered Injectable Hormone Therapy. Poster presentation at the 157th Annual Meeting of the American Pharmacists Association, Seattle, WA, March 2011. Abstract publication JAPhA 2011 Vol. 51, No. 2 ; March/April 2011. Collver M, Branham A, Moose J, Ferreri S, Marciniak M. The Fifth Vital Sign: Factors Influencing Pharmacist’s Assessment of Chronic Pain During Comprehensive Medication Reviews. Poster presentation at the 157th Annual Meeting of the American Pharmacists Association, Seattle, WA, March 2011. Abstract publication JAPhA, Vol.51, No 2.; March/April 2011. Branham A, Moose J, Ferreri S, Katz A, Marciniak M. An Analysis of Economic Outcomes Following Pharmacist Provided Medication Therapy Management Services. Poster presentation at the 157th Annual Meeting of the American Pharmacists Association, Washington, D.C., March 2010. JAPhA, Vol. 50, No. 2; March/April 2010 p.220. Branham A, Moose J, Ferreri S, Katz A, Marciniak M. An Analysis of Economic Outcomes Following Pharmacist Provided Medication Therapy Management Services. Poster Presentation at the 2010 American College of Clinical Pharmacy Spring Practice and Research Forum, Charlotte, NC, April 2010. Abstract publication: Pharmacotherapy, Vol. 30 April 2010, p. 187e. Branham A, Ferreri S, Marciniak M. Evaluation of Pharmacotherapy Continuing Education Sessions In A Network of Community Pharmacy Residency Programs. Poster Presentation at the 2010 American Association of Colleges of Pharmacy, Seattle, WA, July 2010. Abstract Publication: American Journal of Pharmaceutical Education 2010; 74 (5). Branham A, Moose J, Ferreri S. Retrospective Analysis of Medication Adherence and Cost Following Medication Therapy Management. Poster presentation at the 156th Annual Meeting of the American Pharmacists Association, San Antonio, TX, April 2009. JAPhA, Vol. 49, No. 2; March/April 2009, p.357-8. Branham A, *Robertson SL, Locklear A, Farley JF, Robinson MD, Dobson LA, Rhodes CW. The Evaluation of Pharmacist Intensive Diabetes Management Program Following Implementation of Physician-Supported Protocol. 45th Annual Society for Teachers in Family Medicine Annual Spring Conference, Seattle, WA, April 25 – 29, 2012. Branham A, Ferreri S. “MTM Focus: Targeting the Common Cold.” Pharmacy Times, November 2009. 2011 Next-Generation Pharmacist Lifetime Achievement Award: Whitaker Moose, Sr.
2010 Next-Generation Pharmacist Green Pharmacist of the Year: Whit Moose, Jr.